Today we will resume our discussion about / analysis of the bashraf (pre-composed instrumental form with often quite long binary rhythmic cycles, played as a prelude to the waṣla. The structural pattern of the bashraf generally alternates four khāna-s and the taslīm/ritornello. 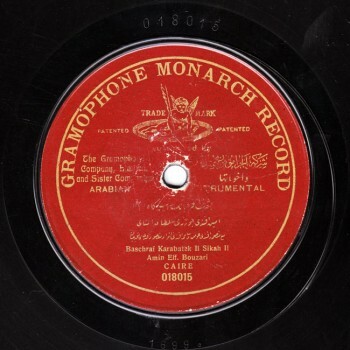 There are other types of semi-composed bashraf alternating one or two composed sections and an improvisation in a binary rhythm responsorial between the instrumentalists) qarah baṭāq sikāh by kimānist Khuḍr Āghā. Our previous episode ended with two somewhat academic recordings. 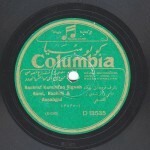 The Turkish recording is by a small band, not a large orchestra. And some of the instrumentalists are clearly reading from a score. Still they knew the piece and played confidently, adding variations and ornamentations. The same applies to the khumāsī of late Aḥmad al-Ḥifnāwī: the instrumentalists were reading from a score but still performed taqsīm (improvisation instrumental and of variable lengths) and ornamentations. 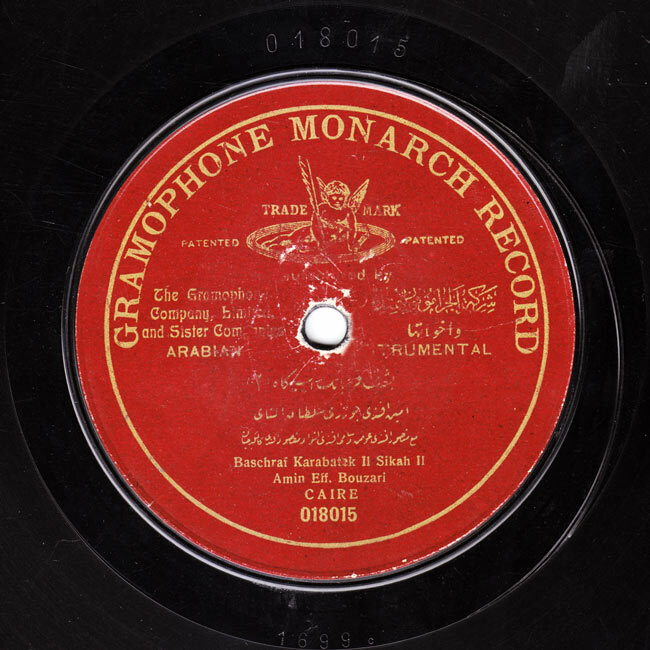 Complicated academic recordings appeared later, mainly in the Arab World, whose taqsīm-s even were written, including those within the bashraf, and the tahmīla rāst. Nothing was improvised. These are very tough pieces we completely cancelled from our episode. We may produce later on episodes describing the difference between academic and non-academic bands, drawing a comparison between the instrumentalists who memorised and those who read from the score… meaning those who read and those who understood. The structure of the bashraf in its original form: it includes four khāna-s, each consisting of three measures or two and a half measures followed by the taslīm. We can consider that each khāna consists of two measures and that the lāzima changes at the third measure in each khāna. Yet, in this case, we must note that the fixed lāzima is only in the second and third khāna-s. The structure of the bashraf in its Arabic form: it includes the first khāna (section), the dialogue that turns into a taqsīm, the lāzima in full between the second and the third khāna-s, used as a lāzima between the taqsīm-s, and the fourth khāna. The second and the third khāna-s in their original form are dropped after the dialogue interactions taken from one khāna to another. So the second and the third khāna-s are dropped except for the lāzima between them, that is also present between the third and the fourth khāna-s, a full 32-beat’ rhythmic measure. Note that the dialogue grows in the three khāna-s: It starts with a 16-beat’ half rhythmic measure in the first khāna, followed by the second measure of the second khāna, followed by the third khāna in full, considering that each khāna includes two measures. So the third khāna fully consists of a dialogue, and the fourth khāna is played by the band. The dialogue between the plectrum and the bow, called “qarah baṭāq” maybe in relation to the sometimes segmented and sometimes continuous sounds emitted by the cormorant –this black bird that flies in the water and over beaches–, turned into something similar to the taḥmīla with taqsīm for each instrument and the band answering each instrument with lāzima-s, then a big lāzima that takes us from one instrument to another. This was all we wanted to go back to. Beautiful Sī Amīn, Sī Manṣūr, Sī Maqṣūd, Sī Sāmī! Have you noticed the change in the aspects? First, I will play the first khāna in its form meant by kimānist Khuḍr Āghā, and then in its arabised form. The difference is not in the rhythm, especially if we take the waḥda in its fast form, such as this (♩), not like this (♩). The meter does not change. 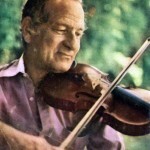 There is no reason why the dialogue phrases between the ‘ūd and the violin or the kimān tshēh (kamancheh or European arnaba) changed into an ordinary band performance. We will discuss this in detail in our next episode, accompanied by the ‘ūd. But let us stop here today. We will meet again in a new episode of “Sama‘ ” to resume our discussion about the bashraf qarah baṭāq sikāh by kimānist Khuḍr Āghā, and that was arabised by a great musician whose identity is unfortunately unknown to us.